Being a Buffalo guy, I can’t go an entire season without my Buffalo Sabres draft preview. For all my Buffalo friends and family, I give you my 2014 Sabres NHL Draft Preview. But don’t worry, even if you’re not a Sabres fan, there’s still something for you. Check out the later rounds for prospects we didn’t get a chance to profile earlier in the season. Buffalo currently owns 5 of the first 61 picks, and Tim Murray seems interested in acquiring a few more, so the opportunity to haul in a great group of players is certainly in the cards. And with that, let’s take a look as some of the players the Sabres might be targeting come June. Bennett possesses great hockey sense, good vision and some great puck skills as well. Showing to be more of a playmaker this season than during his rookie campaign, Bennett is also capable of unleashing a dangerous shot. And while his main appeal stems from his offensive flair, Bennett also incorporates a gritty aspect into his game. An up tempo player, he’s a hard worker on the forecheck and knows how to create turnovers, changing the flow of a game. Reinhart is a cerebral player who sees the game like not many others can. With great vision to boot, the youngest of three brothers is an incredible playmaker. A natural goal scorer as well, Reinhart adds a great shot with a quick release to his offensive repertoire. A leader, the Kootenay captain is also responsible defensively, playing a complete two way game. And while he may not be a big physical presence, Reinhart doesn’t mind getting gritty. Ekblad is the highest ranked eligible defender and for good reason. With better size than many current NHLers, the man-child is certainly a physical presence. A workhorse in Barrie, Ekblad was used on and excelled in all situations, proving to be more than a one-trick pony. A shut down defender with leadership attributes, he will need to work on his skating, but does have some solid offensive potential, making an impact on that side of the puck with great passing ability. My Pick – It’s really a toss-up between Reinhart and Bennett. The Sabres are in need of offense, and both of these forwards fill that need in a big way. And while both have drawn comparisons to Jonathan Toews thanks to their skillset and leadership, I believe another comparison can be made. I also see some of Pat Kane in Sam Bennett. But then you look at Ekblad. The Sabres are stacked on D, but if he’s there, he’s got to be hard to pass up on. Three years of OHL experience, and drawing comparisons to some of the best defenseman in the NHL. However, Bennett’s clutch play, his silky mitts and finesse style offensive game make him my 2nd overall pick. Sam Bennett. The son of former All-Star defender and slapshot king, Al MacInnis, Ryan has found a home for himself in the faceoff dot rather than the blueline. A smart player with size, great hands and good vision, MacInnis does also have a heavy shot, but needs to improve his accuracy and release. Not the strongest skater out there, it isn’t necessarily a weakness though for the young pivot. Overall, a strong two way guy, MacInnis is also upping his physical presence, making him the complete package. One of the youngest players in college hockey, Demko has been relied on and has excelled for the Eagles this season. A strong butterfly goaltender, he moves well post-to-post and effectively uses his size and athleticism to make saves. Also blessed with good size, Demko’s 6-foot-3 frame, his mobility and positioning leaves very few holes for opposing players to pick from. It’s no wonder that the young ‘tender has kept the #1 ranking among goaltenders all season. Like father, like son for Brendan. Much like his dad, Claude, Brendan is skilled at the art of agitating, a player you love on your team but hate to play against. However, he doesn’t let that part of the game keep him from making smart plays. Confident in front of the net, and in the corners, Lemiuex has come on offensively this season. Relying on work ethic and determination, the 2nd generation Lemieux has found success in a smart game played the right way. My Pick – Both forwards would be great selections, but after the Ryan Miller trade, I’m looking to Demko. The Sabres does have two capable NHL ‘tenders and a deep pipeline, but do you risk passing on a goalie with the potential that Demko has? Thatcher Demko. Cornel underperformed and was limited during his rookie campaign but had a strong second season. A smart player with hands and great vision, Cornel has the skillset to make those around him better players. With the puck, he also knows how to get where he needs to be and can unleash a rocket of a shot when he gets there. With great determination and work ethic, he has shown a commitment to improving his strength as well as his defensive game. The late ’95 birth year forward has come a long way from his limited 4th line role as a rookie three years ago. De Leo is a hard competitor with a non-stop motor who won’t let his smaller stature limit his game. Creative with quick hands and great puck skills, there are no doubts that this 3 year WHL vet has strong offensive instincts. A great skater as well, and a player who doesn’t mind doing into the dirty areas, De Leo plays a solid two way game. A scoring prodigy at the bantam level, Hawryluk has continued to cement his status as an offensive threat at the OHL level. A strong skater with good speed, the undersized forward finds offense for himself and his team by getting into the high percentage areas. Also, a responsible 200 foot player, Hawryluk, much like De Leo, plays bigger than his size would imply. My Pick – All three forward here give a team a player with good offensive potential. In De Leo and Hawryluk, you get the offensive potential in an undersized yet gritty package. Cornel, also an offensive threat, has better size but is still working to fill out his frame. However, Cornel was an early season favorite of mine, so I’m going to stick with my gut. Eric Cornel. 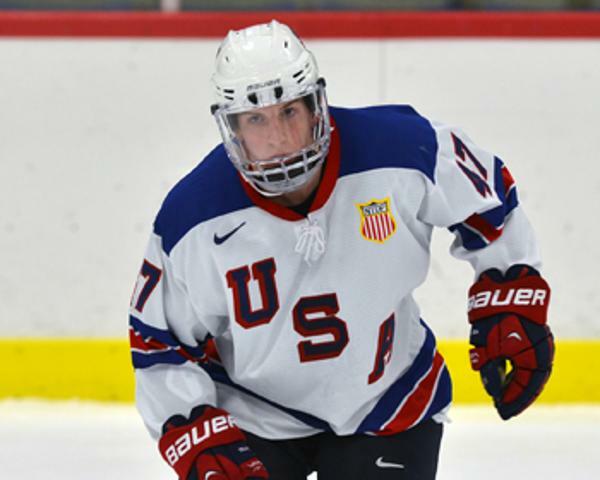 The son of former NHLer and current Harvard Coach, Ted Donato, Ryan is one of the highest touted high school players eligible for this year’s draft. Headed to Harvard as well, the young forward has certainly earned his standing thanks to his “unreal hockey sense,” vision, hands and creativity. Mobility is probably the biggest weakness at this point, but the enthusiastic Donato does have a developed defensive and physical game. Passed over last season, the hulking forward has since been one of the league’s most improved players. Putting in the offseason work to find the success he has found, Smith has finally been coming into his own both physically and offensively. A team first guy, Smith is one of the strongest players in the OHL, and if he can continue along the same development path he was following of late, Smith could very well be a load for opposing teams to handle at the next level. The Boston University commit and former USA U17 captain, may not be the most skilled or the most fleet of foot, but the big defender is intriguing nonetheless. A workhorse with a leaders mentality, MacLeod has great physical strength and knows how to leverage his size and strength to maximize his defensive ability. It’s not all brawn for MacLeod thought, as he displays great smarts and vision in both zones. My Pick – MacLeod is only the second defenseman on my list, and while he has drawn some strong consideration, I still look to Buffalo’s deep defensive depth as a deterrent. Smith on the other hand, while he has experienced great success, is still a work in progress. Donato however, I feel brings the most complete package. A two way player with great offensive potential, the Harvard commit is my pick. Ryan Donato. Watson is a clutch offensive player, and found a great role in complimenting top prospect Sam Bennett in Kingston. A pure scorer with a very accurate wrist shot, Watson is also very dangerous one-on-one. He’s had a lot of practice though, growing up playing against his twin brother who is a defenseman for the Fronts. A strong skater with mobility, speed and acceleration, Watson will still need his defensive game to catch up to his offensive game. Tkachev found a ton of success after coming over from Russia midseason, picking up 30 points in 20 games with Moncton. When describing his game, terms such as highly skilled, crafty and creative are often used, with some calling him a “magician” with the puck. He’s an undersized player, and that could very well be a deterrent for some teams. However, Tkachev is an explosive skater with great mobility and acceleration, making him very difficult to defend. A stay at home defenseman, Haydon is a big, strong, physical defender. More than capable of using his size in the physical game, he’s also effective at closing gaps, breaking up plays with his reach and limiting opponent’s space and time. Despite his great size though, Haydon is a surprisingly mobile skater. Still developing his offensive game, Haydon plays with an excellent compete level, and certainly has the defensive mindset that scouts envy. My Pick – Watson is a great offensive talent and had a strong year in Kingston, but how much of that, if any, had to do with playing alongside Sam Bennett. Looking to the blueline, Haydon, much like MacLeod, is a very intriguing defensive prospect with size, strength and shut down potential. Tkachev has that “wow factor” though. Like Sergei Tolchinsky last year, the slick handed Russian is my pick. Vladimir Tkachev. Despite his smaller stature, Hitchcock is still capable of playing an effective two-way game. The Yale commit also hasn’t let his size limit his ability to be a contributor for his team. While he may not be an “elite” offensive talent, he does has some strong tools. A good puck handler with solid passing ability, what makes Hitchcock an impact player is his great hockey sense. Overall, he’s a hardworking forward, with solid skills to be effective on both sides of the puck. The former U20 captain from Jokerit has brought over good size and a solid two way game to Ottawa’s blueline. Still working to acclimate himself to the size and speed of playing in North American rinks, Lintuniemi’s game will still need to catch up a bit after his rookie season. Offensively, the Finnish dman has solid puck handling and makes a good outlet pass. He’ll need to improve his speed and continue to develop his overall game, but could be a worthwhile project. A Cornell commit with a big frame, Starrett will still need to fill out that 6-foot-4 frame and add some muscle to meet his full potential. On the offensive side of the puck, he’s got great hands, good hockey sense and a good, hard shot. A solid skater and hard forechecker as well, one thing Starrett needs to show more consistency in is his compete level. More of a long term project, the potential is there for Starrett. My Pick – Lintuniemi is more of a project pick defensively which might be a good fit considering the Sabres pipeline depth. Looking at the forwards though, Hitchcock, although in a smaller package, brings a solid mix of ability and determination that helps him find success. But I guess it comes down to size, which, along with offensive potential, Starrett has. Beau Starrett. Llewellyn’s brother helped guide him towards joining Kitchener in the OHL and so far, the move seems to be paying off. In his second season with the Rangers, then enthusiastic winger has shown some strong scoring ability. Said to be a great playmaker as well, hopefully he will be able to showcase that a bit more in the upcoming year. A leader with a great work ethic, Llewellyn is a smart play who is effective at both ends of the rink. A hulking defender at 6-foot-5, Mantha had spent much of his U16 career growing into his large frame. And while he does effectively utilize his size in the defensive game, many would still like to see him engage as a more dominating physical presence. As would be imagined, his mobility needs work too. A strong defender, Mantha has some tools to help his team with the puck as well. Not an offensive specialist, but he can handle the puck and makes a good pass. A big time player with big time size in the prep school ranks, Bird has found success both with and without the puck. An up-tempo, high energy power forward, Bird is a punishing forechecker who is an asset down low and in front of the net. In addition, he also has a hard, quick and accurate shot at his disposal. Quickness is still a concern, but with a commitment to Brown in hand, Bird will have all the time he needs to round out his game. My Pick – Mantha’s size, especially on the blueline, is very tempting. Another player who will need some time to refine his game and hit that potential, Mantha could be a good fit. Offensively, Llewellyn has played and succeeded at a higher level than Bird has. However, I feel that, given the time to develop in the collegiate ranks, Bird has the best and most complete package consisting of size, grit, offensive and intangibles. Tyler Bird. A local Buffalo product, Hora came out of the Jr. Sabres program and has been a solid defensive presence for the Rangers during his rookie campaign. With an excellent work ethic, Hora plays a simple yet effective game. Thus far, he has displayed good strength, good smarts and a dedication to playing within himself. On a rebuilding team, Hora has been solid but is the kind of guy who works every day to improve. The Wisconsin Badger to be, Malone’s most glaring weakness is his lack of ideal size. However, despite only being 5-foot-9 and 165 pounds, Malone doesn’t shy away from playing the game with a physical edge. But what sets Malone apart here is his stick skills and silky mitts. With good smarts and vision to boot, his potential, and thus his draft stock can only be hindered by his size. This Marty St. Louis guy made it work though. Jevpalovs has represented Latvia at various levels in international play over the last few years, so there’s a good chance that Ted Nolan is familiar with the young forward. A solid two way player who is already well acclimated to the North American style of play, Jevpalovs has been proving to be a nice gem at the Major Junior level. My Pick – Hora, a local boy, has flown a bit under the radar for the rebuilding Rangers, while Jevpalovs is part of a Latvian generation of surprising talent. Malone, once considered a top prospect has fallen, with size as an issue. Again I say, that St. Louis guy has been pretty good. Seamus Malone. There are three guys who I have been following as early season favorites. They may be a stretch at second overall, or maybe not, but when it’s a gut feeling, you have to go with your gut. You never know. Dal Colle is a pure sniper who has developed more of a passing game through his sophomore season with the Generals. While Dal Colle has good hands and great vision, what makes him really dangerous is his ability to sneak into the high percentage areas to create offense. And while he is not an extremely fast skater, he is solid and knows where he needs to be. He has a good frame but can add some size to compliment his high compete level and his goal scorer’s mentality. Nicknamed “The German Gretzky,” this young power forward wasn’t able to replicate his mind boggling numbers from Germany, but hasn’t missed a beat nonetheless. Although he dealt with some consistency issues, his great shot and passing ability never came into question. A well rounded player and a true competitor, Draisaitl is also effective at using his size and strength in his own zone as well as to compliment his high end offensive potential. Ehlers started the season as a recent import and was seen as a potential late first round pick. But as one of the biggest draft risers, he ended the season as a possible top five pick. An explosive skater with ridiculous speed, acceleration and agility, he also has great hands and is capable of handling the puck at those high speeds. Offensively, he’s a threat whether he keeps the puck or dishes it to a teammate. An excellent passer, he can also unleash a deadly wrist shot. There is no doubt in my mind that this kid is the real deal. Draft fever is back! Just a few weeks away, all we have left to do is wait and see how things shake out. 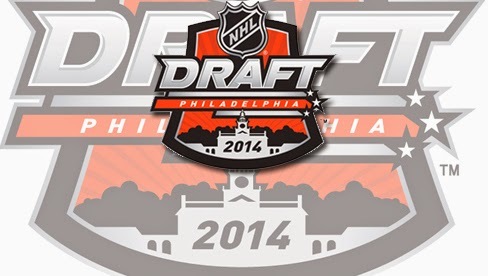 But whoever is taken by whichever team, best of luck to all of the prospects eligible in this year’s Entry Draft. Foegele could very well be the Mark Jankowski of this year. A big time riser in the Canadian high school ranks, Foegele finished this past season with 159 points in 79 games. A speedy guy, he’s got good hands and puck skills, but besides his offensive showing, the young winger is also a responsible defensive player. He’s hard to check, doesn’t mind getting gritty and has shown a great compete level. It’s certainly hard not to be high on the U of New Hampshire commit. Undrafted during his first year of Q eligibility, Goulet was inspired. Putting in the hard work, the young pivot finally put together a strong rookie major-junior campaign. With 48 points in 66 games, the well rounded 200 foot player finished second in team scoring. Goulet brings speed, a good shot, makes a good pass and can draw penalties. Despite being a smaller guy, he isn’t afraid to play in traffic and get dirty when the time calls for it as well. A Boston University commit for this fall, Hickey’s greatest strength would have to be his skating ability. He really began taking advantage of the offensive opportunities given to him this season and is equally strong defensively. Calm under pressure, Hickey thinks the game well and has a good stick. He’ll still need to improve his puck moving ability, vision and add an edge to his game, but Hickey has seen steady growth. Undersized, especially when you consider that Hitchcock plays a power forward style game. But that won’t stop him from being a contributor. A former lacrosse player who, as a two spot athlete, developed speed, skill and toughness feels that his prior experience on the field and the ice has continued to benefit him as he pursues his hockey dreams. A solid puck handler with very good hockey sense, he may not be an elite talent, but through hard work and two way play, Hitchcock finds a way to be effective. Brisdedt was passed over in last year’s draft, but has come on strong this past season. Serving as the assistant captain for the U20 team, the young Swede potted 32 goals and added 28 assists in 43 games. Next season, he will be taking his talents across the Atlantic when he will become the first ever Swede to suit up for the University of Minnesota. The undersized forward plays a solid two way game with elements of finesse and, despite his smaller stature, grit. He needs to continue to improve his lower body strength, but nonetheless is a good skater with speed. Bristedt also brings a great shot to the table with his offensive package.